Everyone knows that Friday the 13th is an especially unlucky day in Western culture, but how did it come to be this way? There are tons of superstitious myths about what causes bad luck, and Friday the 13th is some kind of special magnet to that bad luck energy, and many people take precautions to avoid it. An estimated 17 to 21 million people in the U.S are affected by a fear of this day, called paraskevidekatriaphobia. Some people so fear the bad luck caused on this day that they avoid their normal routines. The same cannot be said, however, for those people who have taken to getting tattoos on this notorious day. This trend of cheap tattoos emerged in the early 2000’s as a way to confront the bad luck and do something very permanent to your body. It has become such a popular trend that most tattoo shops have specials, and usually a flash sheet of spooky or luck related tattoos. Pre-Christian societies perceived the number 12 as perfect and complete due to lunar cycles. Therefore, 13 is imperfect and chaotic. This might be the basis for a lot of the supernatural feelings we get around this day. However, once Christianity came along, certain legends surrounding Jesus Christ and the Last Supper only added fuel to the fire. The belief that Jesus died on a Friday is a common one. 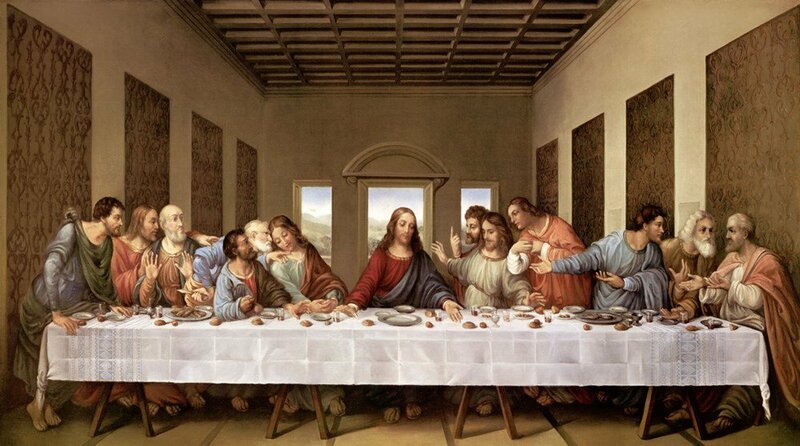 Because 13 people were in attendance at the Last Supper, this unlucky number had another bad circumstance associated with it. Curiously, there’s a prophecy in Harry Potter made by Professor Trelawney. It says that 13 people sit at a table, the first to rise is the first to die. It not only comes true in the series but makes me wonder about its basis in the Last Supper theory as well. Since January 2017, there have been two Friday the 13ths. The second in 2017 was in October and hadn’t shown up in that month for 11 years! Those pre-Christian societies might have taken particular notice in how January 13th, 2017 lined up with the Full Moon. This Friday the 13th in July has matched with the New Moon too. There will be two Friday the 13ths every year until 2020. There’s plenty of time to get your fill of “unlucky tattoos” and binge-watch the Friday the 13th slasher movies! However you celebrate or avoid this mini-holiday, there’s no doubt it leaves an impact every time it rolls around.